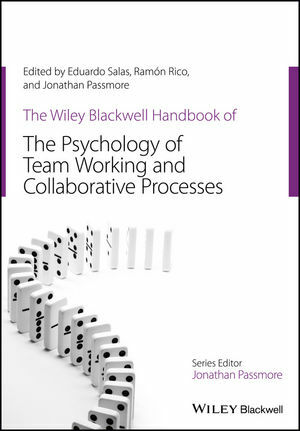 This handbook makes a unique contribution to organizational psychology and HRM by providing comprehensive international coverage of the contemporary field of team working and collaborative organizational processes. It provides critical reviews of key topics related to teams including design, diversity, leadership, trust processes and performance measurement, drawing on the work of leading thinkers including Linda Argote, Neal Ashkanasy, Robert Kraut, Floor Rink and Daan van Knippenberg. Eduardo Salas is Professor and Allyn R. & Gladys M. Cline Chair in Psychology at Rice University, USA. Previously, he was Trustee Chair and Professor of Psychology at the University of Central Florida and Program Director for Human Systems Integration Research Department at the Institute for Simulation & Training. He has authored over three hundred journal articles and book chapters, has co-edited 15 books, and is a Past Editor of the SIOP Professional Practice book series. Ramón Rico is Professor of Organizational Behavior in Department of Social Psychology and Methodology at the Autonomous University of Madrid, Spain, and has held a visiting professorship at the University of Central Florida, USA. He is Associate Editor of the European Journal of Work and Organizational Psychology and has published widely in journals including the Academy of Management Review, Journal of Applied Psychology and the Journal of Management. Jonathan Passmore is Professor of Psychology at the University of Evora, Portugal, Managing Director of Embrion, a psychology consulting company, and one of the UK's foremost leadership coaches with a wealth of private sector and academic experience. His prolific research, writing, consultancy, and speaking have made him a recognized authority on coaching and organizational change. His many books include Excellence in Coaching: The Industry Guide.